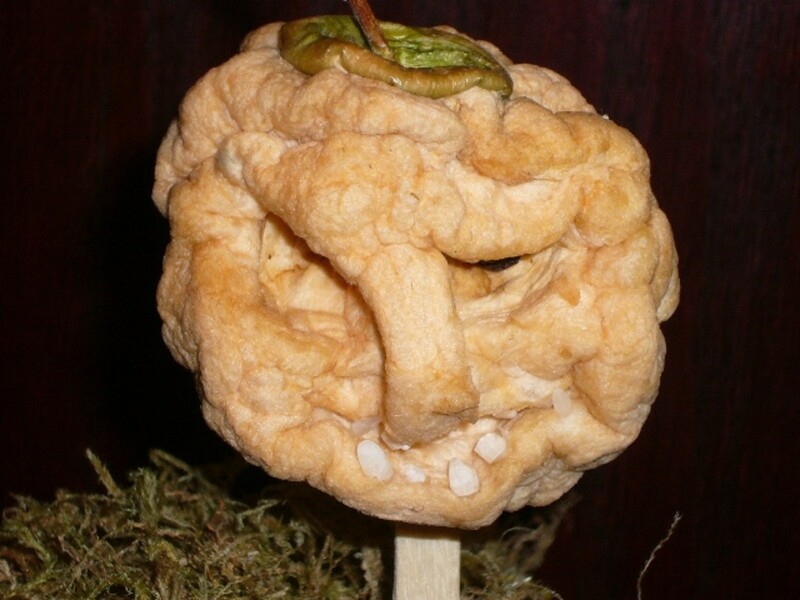 Carve a Shrunken Head from an Apple - Ghoulishly easy fun! 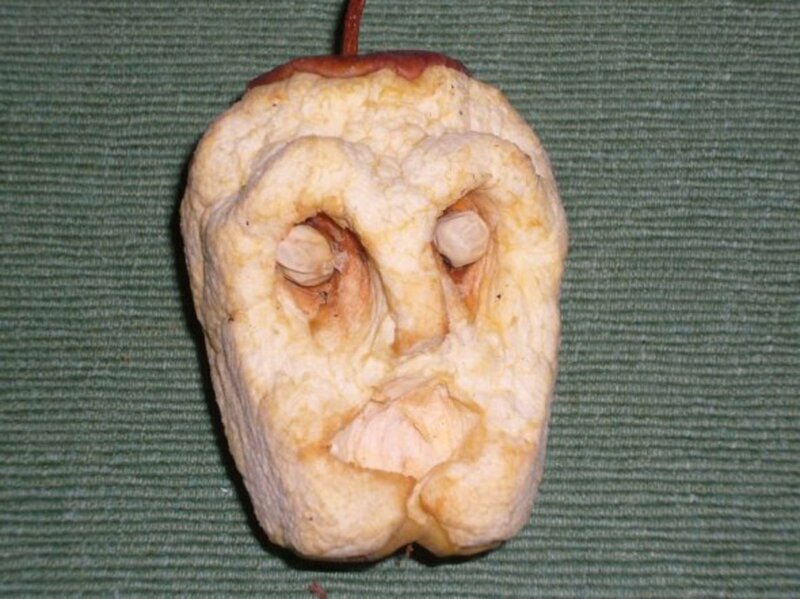 Making shrunken heads from apples is a traditional American folk art. 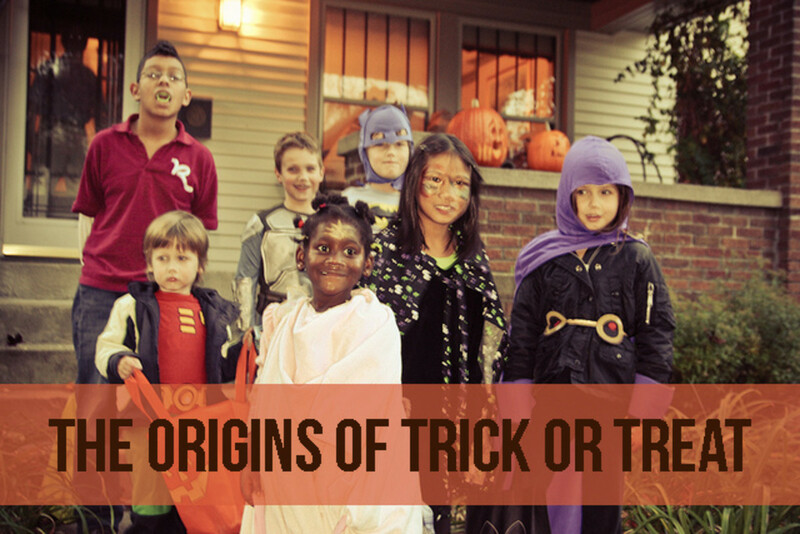 The craft probably had its origins with Native Americans who used the natural materials available to them to make dolls. The settlers from Europe continued the tradition, often using apples for the dolls heads. The doll's head was made by peeling and carving a face on an apple and then drying it. 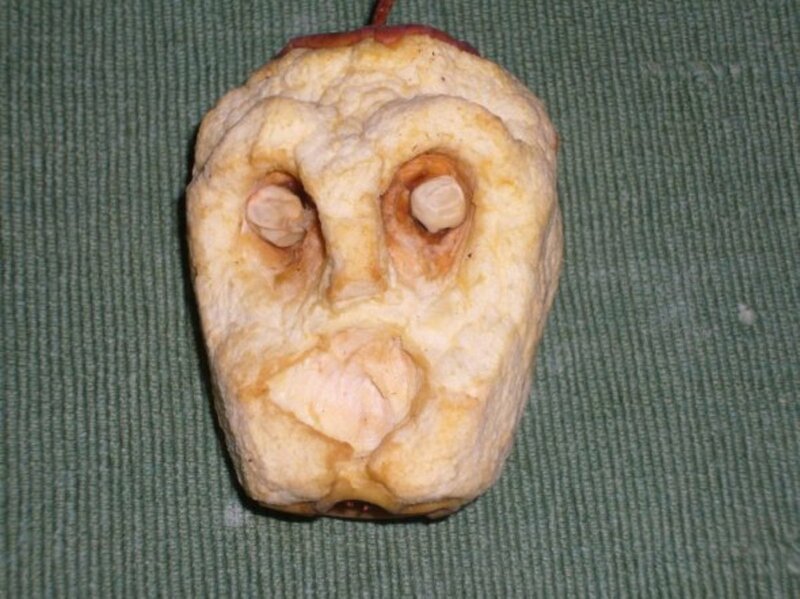 The carved features on the apple change as the apple dries, so one ever knows how the shrunken dried apple face will look when the process is completed. 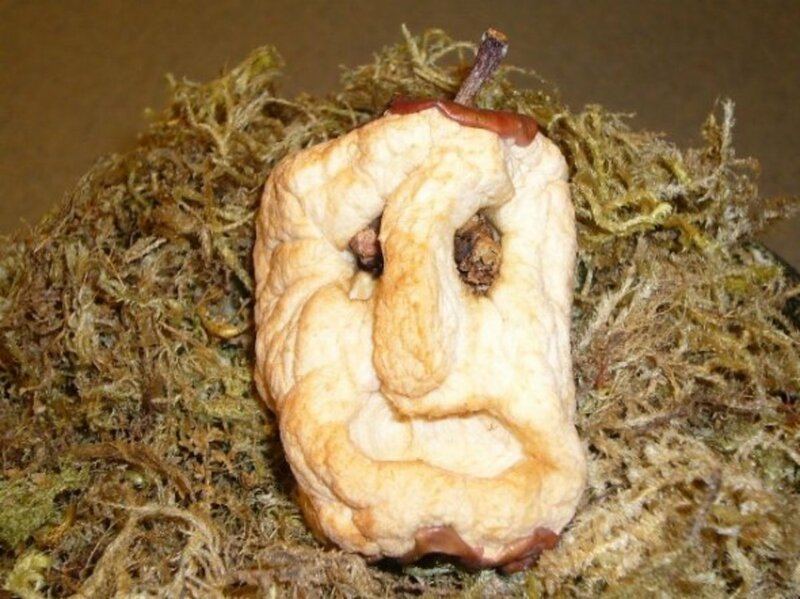 Each shrunken apple head's face is unique with a personality all of its own! Add a little evil intent to this art form and they can become inexpensive, creepy shrunken head Halloween decorations. Since the apple heads can take about 2 weeks to complete the dehydration process, it is important to start the project when the apple harvest begins - several weeks before Halloween! A short list of common household items! Although you can use damaged or fallen apples, for best results use apples that are fairly round, firm and crisp. 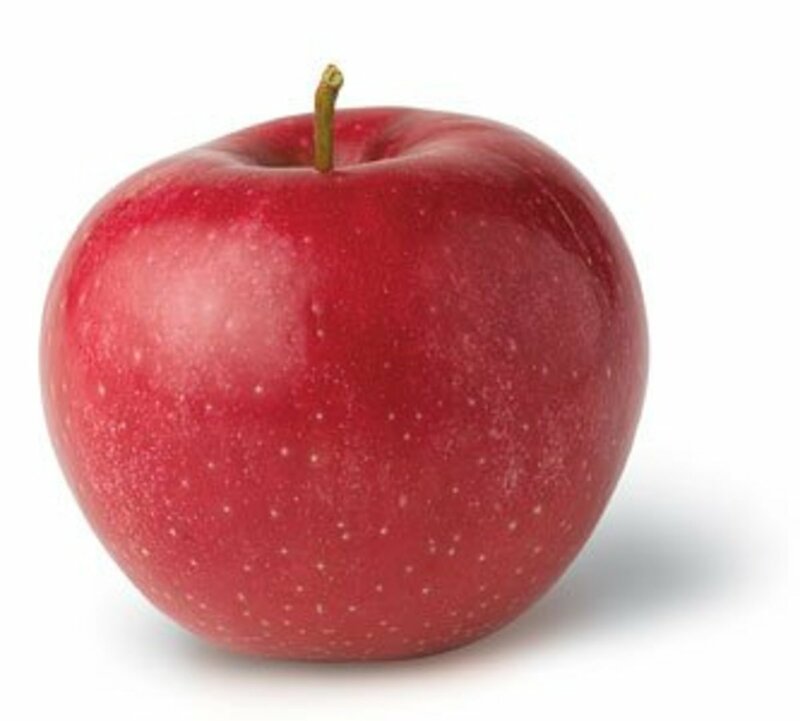 Some people recommend using Red Delicious or Golden Delicious varieties. Other people like Granny Smith apples. Larger apples can be a little easier for carving the face, especially for children, but if you have free apples available to you, why not experiment! A vegetable peeler like this one can be found in most kitchens. 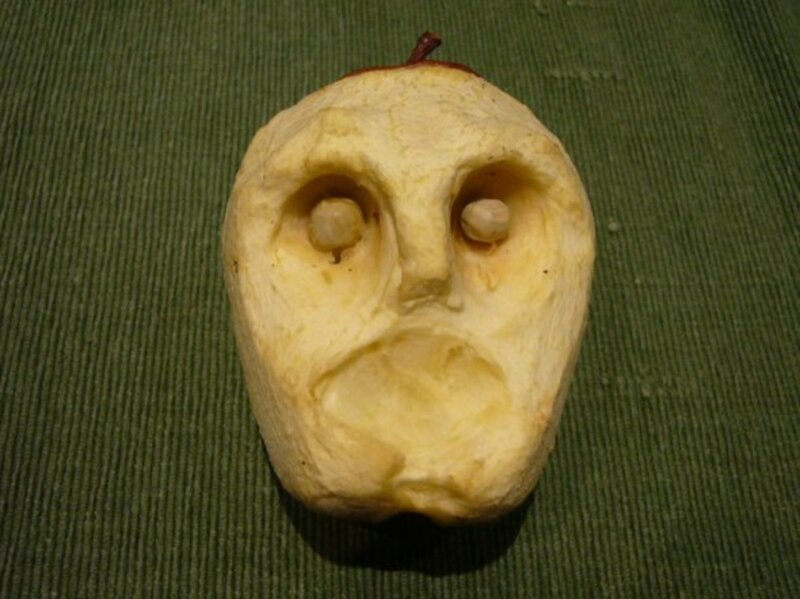 In addition to peeling the apples, I like that the end also makes a great tool for carving facial features like eyes and the mouth. As much apple as possible can be removed, or a little can be left on the top which will look like a little hat when the apple is done drying. I find that using a fruit or potato peeler makes the job easier and safer than peeling with a knife. A peeler also makes spirals of apple skins that can be dried and used to look like hair, a witches hat or other decorations. 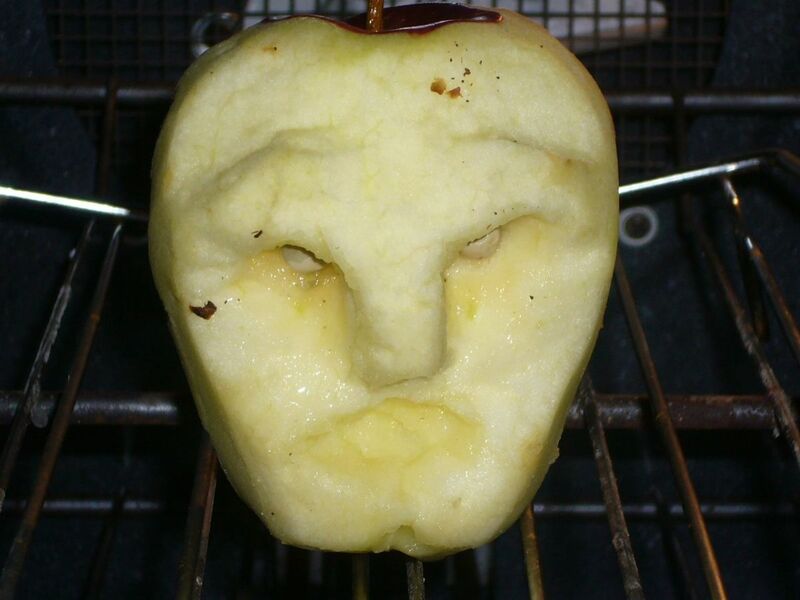 Use whatever tools work for you to carve the face in the apple. Some recommended tools include a paring knife, pumpkin carving tools and the end of a vegetable peeler. The most important thing to remember when carving the face is that the apple will shrink approximately 50% when dried so make the features large so they will still stand out after the drying is complete. Peas, peppercorns,cloves and other round objects can be placed into the eye sockets to look like eyes and rice or seeds can be put in the mouth which will look like teeth. The best part is that you really can't make a mistake. The apple never turns out exactly the way you expect anyway! Mix 1 cup of lemon juice with one tablespoon of salt in a bowl. Giving the apple head a bath in this mixture for a few minutes will help prevent the apple from molding. 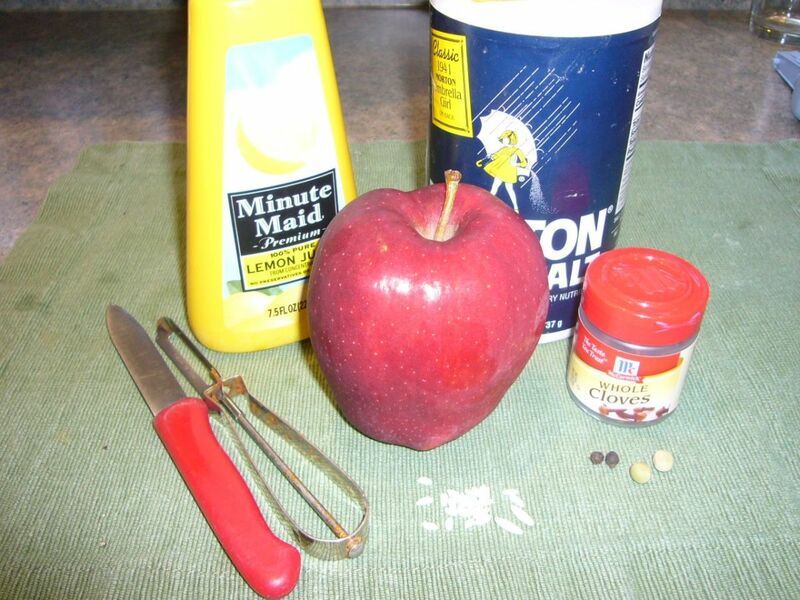 Roll the apple around or pour the mixture over the apple to make sure all surfaces of the apple are covered. Add scary details to you applehead with eyes made from dried peas, whole cloves, peppercorns, seeds or even plastic googly eyes. Push clove stems or other eye material back into the apple in the eye socket. As the apple dries it will shrink and the eyeball will show. If they don't stay in the eye socket after the apple shrinks and dries, they can be glued in place with craft glue. 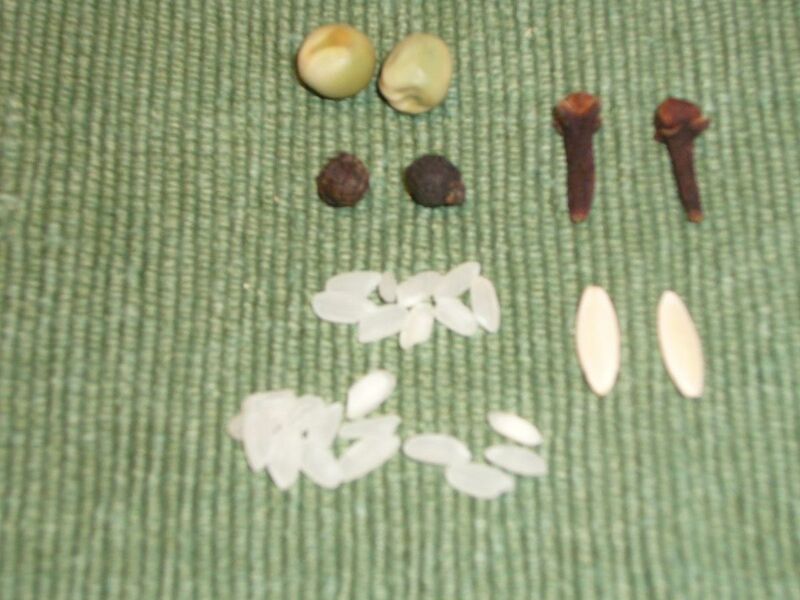 Teeth can be made from rice or seeds. Cucumber seeds make great fangs for vampire shrunken heads! 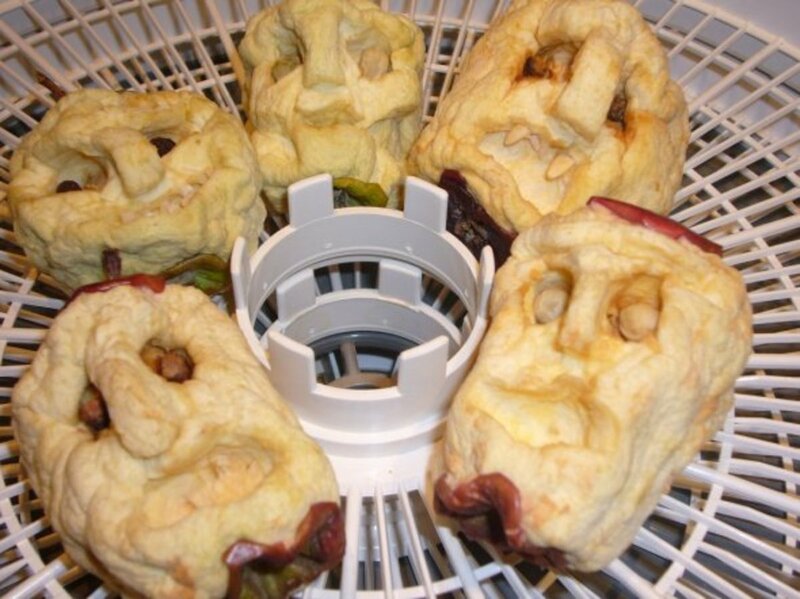 Step 4 - Watch the Fun as your Shrunken Apple Head Dries! The apple may take up to two weeks to dry. 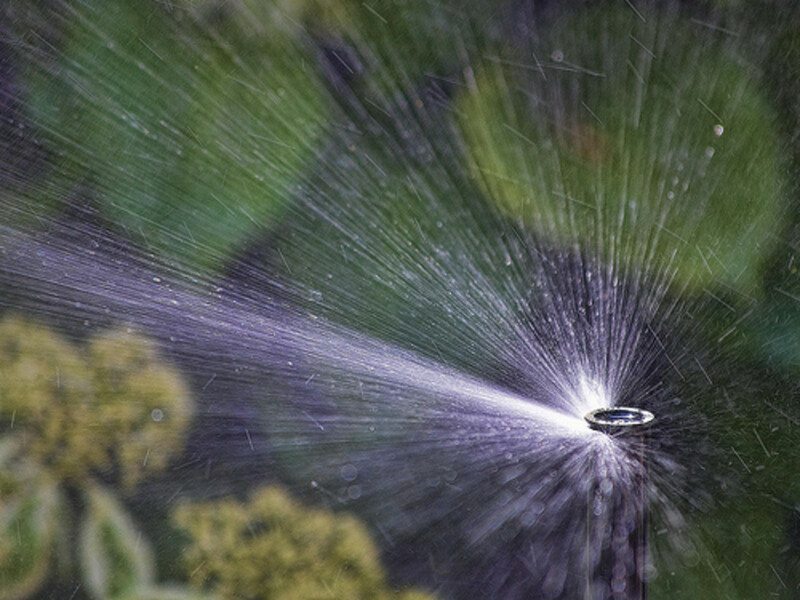 If you live in a humid area you may need to help the process along. One way is to heat your oven to 200 degrees, turn the oven off and then place the apple inside the oven on a tray and shut the oven door. This may need to be repeated several times. The apple should be turned so it will dry evenly. It is fun to watch the changes each day as the apple head dries! 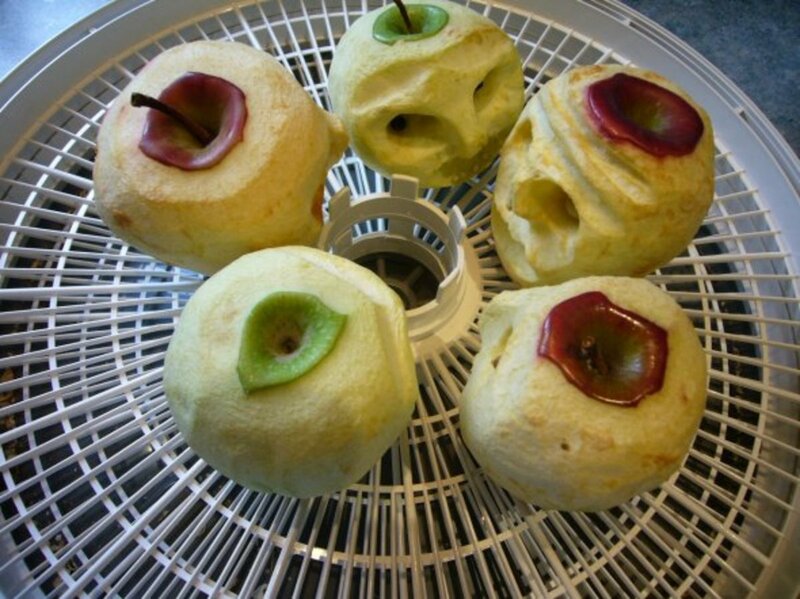 You can either dry naturally in a warm, dry place or use a food dehydrator to speed up the process. Food Dehydrators are handy for preserving your fresh fruits and vegetables and for making jerky. 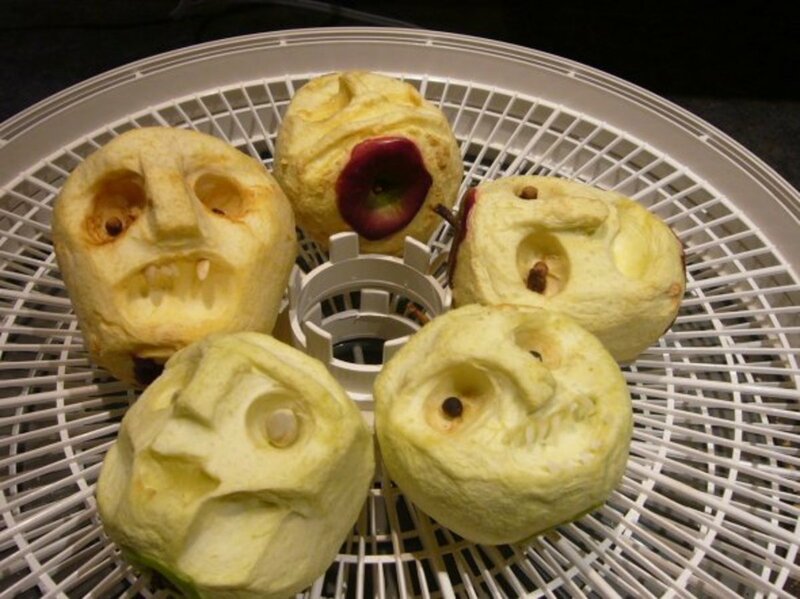 They also work great to speed up the process for making your shrunken apple heads. The food dehydrator used to dry my apples is an older model of this Nesco Food dehydrator. I have had it for over 20 years and it is still going strong! See how easy it is to make a Shrunken Head Display! 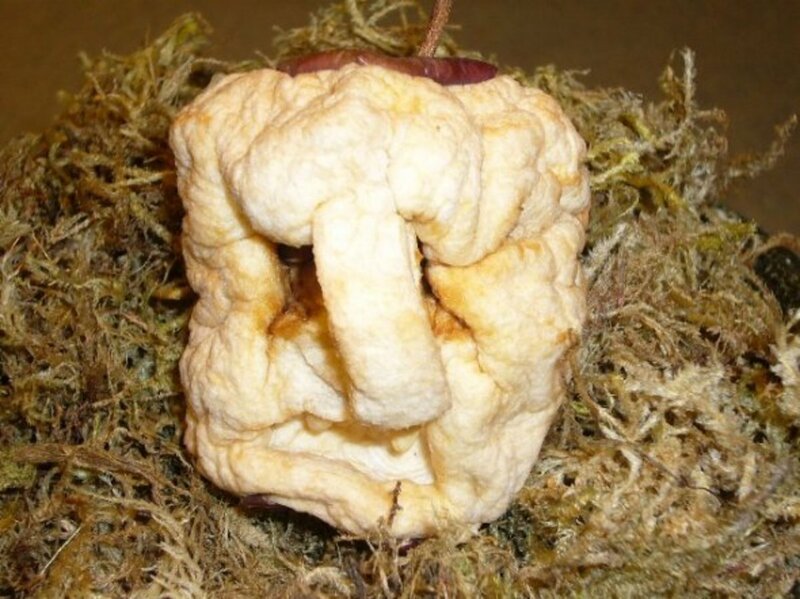 The Apple Head that was Dried Naturally - Watch as it Transforms into a Shrunken Head! This is the photo taken immediately after carving the apple when it was placed in the oven. The oven was heated to 200 degrees and then turned off to create a warm, dry environment. (The metal in the background is a metal rack - not a nail. Apple heads can also be dried faster with a quick-dry silica gel method that is described in a book published by the Applehead Museum. The book also includes many other useful tips for creating appleheads. After the drying process is completed, glue in any eyes or teeth that may not have stayed in place. 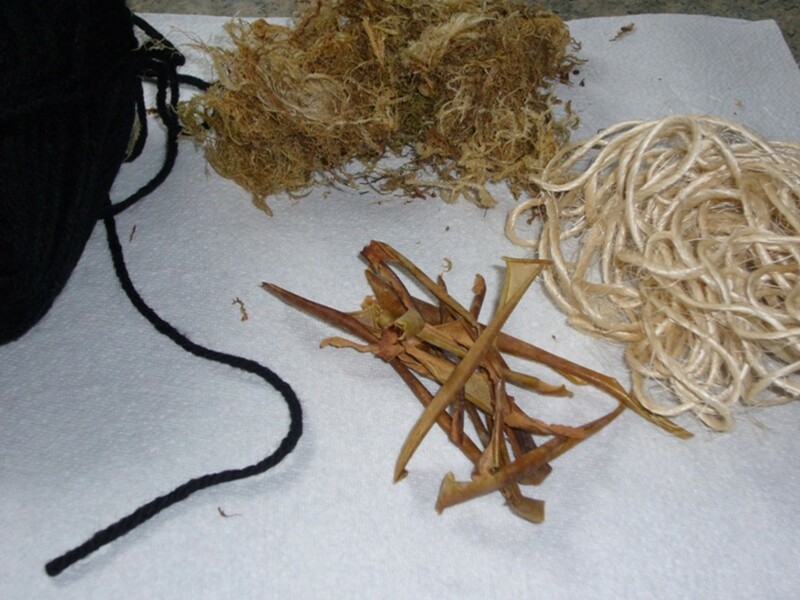 If desired add hair made from moss, cotton, dried apple peels, yarn or other materials. You can also add hats or paint them with food coloring. 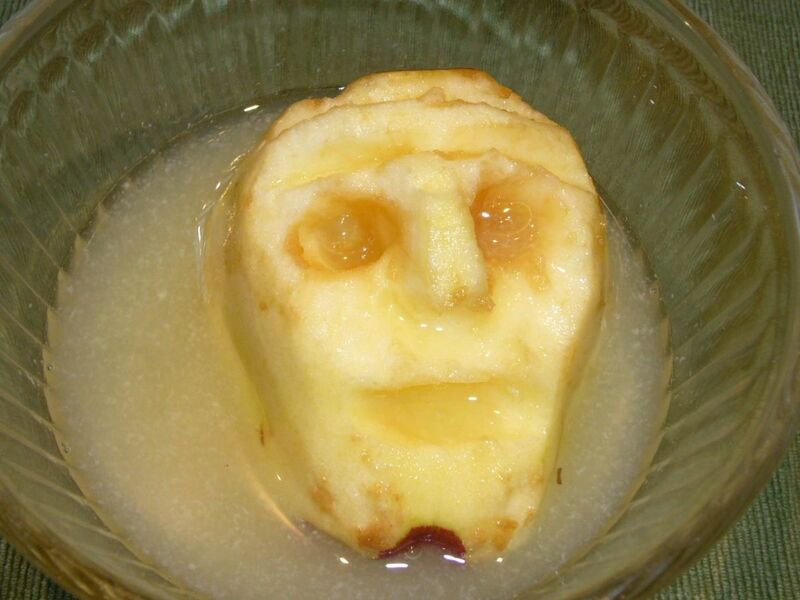 Shrunken apple heads can be used to garnish a dish at a Halloween buffet or potluck. Put several on sticks to make a centerpiece or make a tree of creepy hanging shrunken heads. 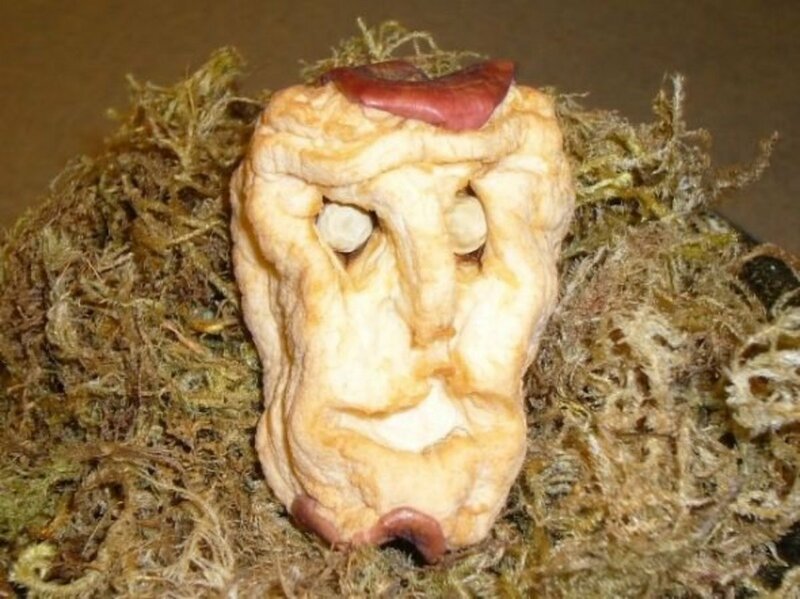 Back in the 1970s, there was a Vincent Price Shrunken head kit that could be purchased to make shrunken heads from apples. 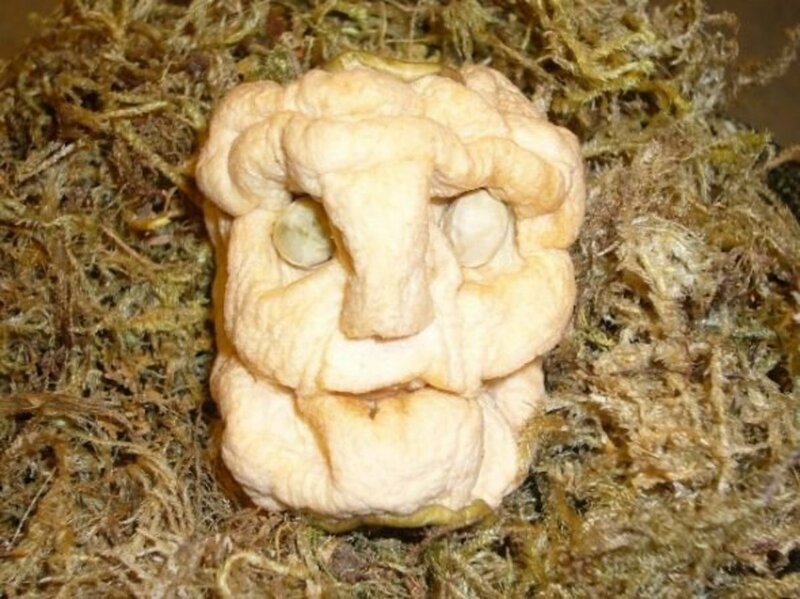 More photos of dried shrunken apple heads - No two are alike! I had originally added cucumber seeds as fangs to make a vampire, but it didn't go exactly as planned. It ended up looking like it only has one eye. Not sure if I will add anything to this one yet either, or just let it hang around! 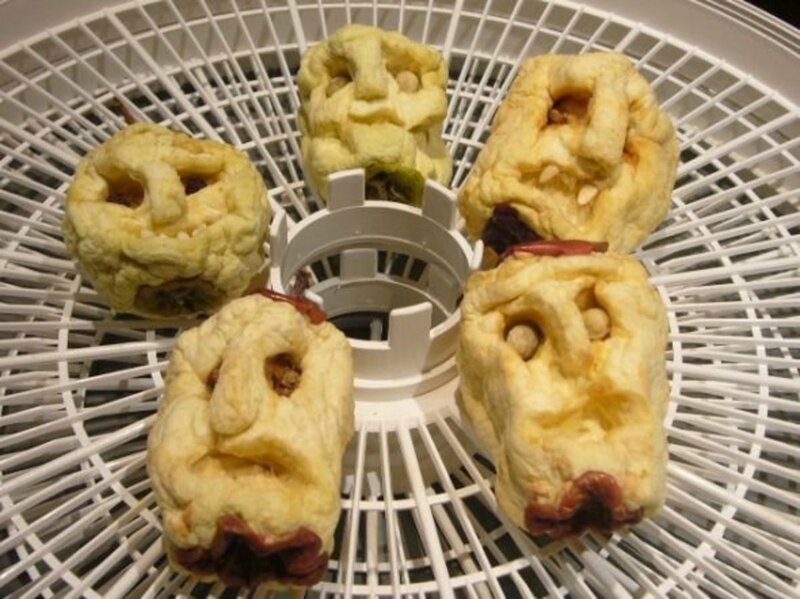 Although apple heads are an old traditional folk art, making ghoulish shrunken heads is a wicked twist for Halloween that many people have never tried. Have you ever made an apple head? 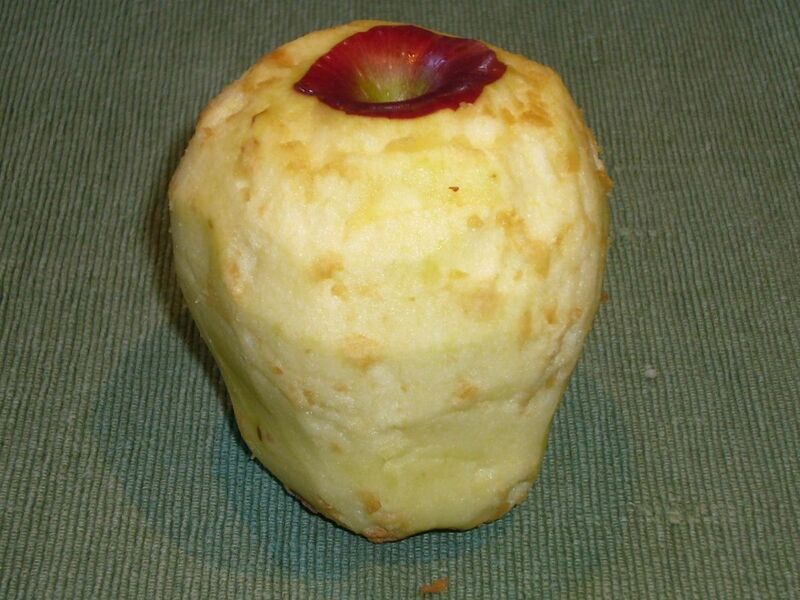 Feel free to comment about this page about shrunken appleheads! - Your comments are appreciated! Very cool! I made one years ago, but had forgotten how. Halloween is great for these! Thanks! Wow, these really are kind of spooky. I'd forgotten about these. I'm going to have to show this to my 7 year old - he'll love it. Ah Ha! So soaking the apple in lemon juice and salt is the key. I think we missed that step when we made apple heads years ago. Thank you for publishing this excellent description of what to do. Great idea for a Lens, well done too. Kudos! Awesome! My husband would get a kick out of this. These are delightful! Perfect time of year of this. Ah ribbit ribbit on my previous comment i.e. 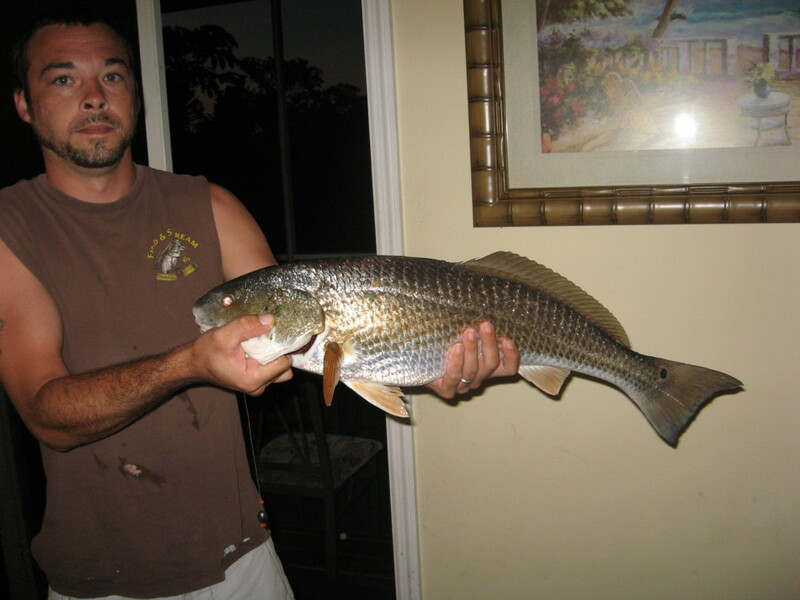 "Holy mackerel andy but I love this idea! I wonder what else I can shrink for Halloween??? BOO!" ... BOOyah my dear! Fantastic. I love these - they are so "old" and "scary" looking! Great idea! 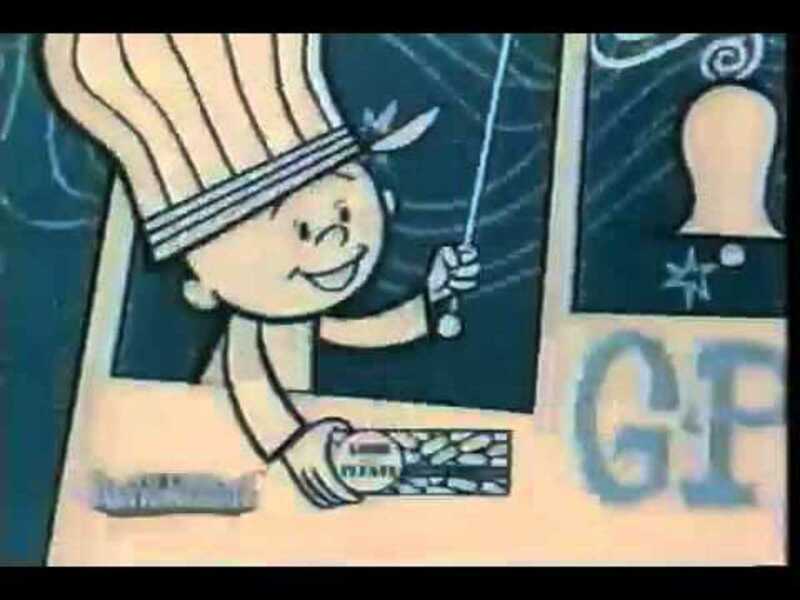 Sprinkled your apple heads with angel dust! Great lens! Gives me some ideas for a fun project! This is the first time I've seen anything like this. Great idea for Halloween and less messy than a pumpkin. These things are awesome - love 'em! Blessed by a SquidAngel! Thank you for adding this to the list on veggie and fruit art, this is so cool. 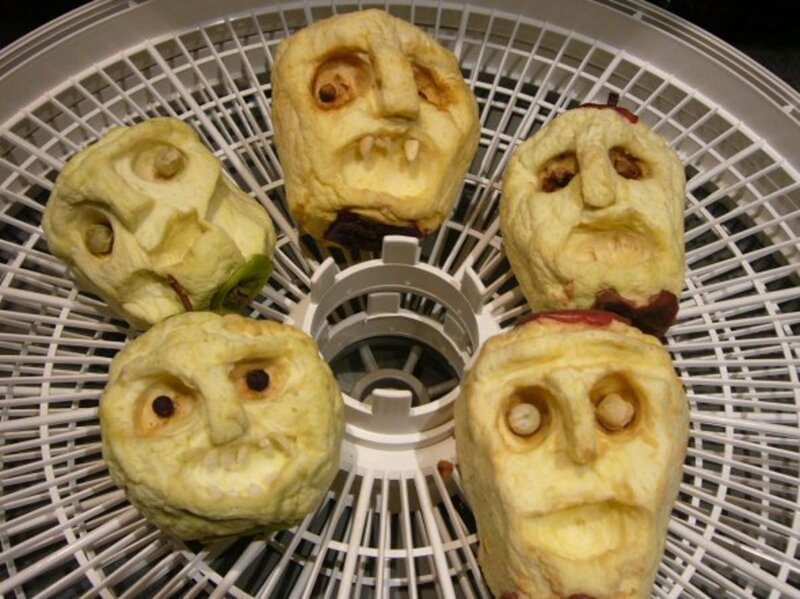 I used to carve apples as a kid, and had my kids doing it, the grands will have to take a try someday too. I love this. Blessing! cool lens. If only my children were small again. I remember when I was in the 4th grade. That was my first time bobbing for apples. I went home and told my mom about it and she told me that I should never do that without her approval. I love this folk art. I'm working in East Tennessee right now and went to a festival the other day and saw some of these. They were for sale, and people were buying them up. What a terrific lens. Thanks for writing it. 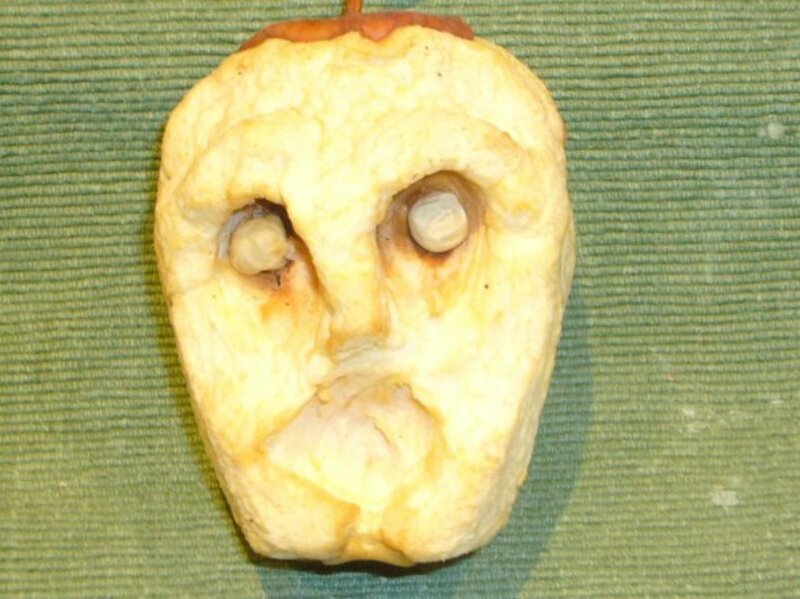 Can see children having loads of fun creating shrunken-head apples. Congratulations for a great LOTD, Vicki. First time I have seen this and it is truly creative. That's a pretty cool idea, one that I definitely would not have thought of myself. Might gives this a go, who knows? 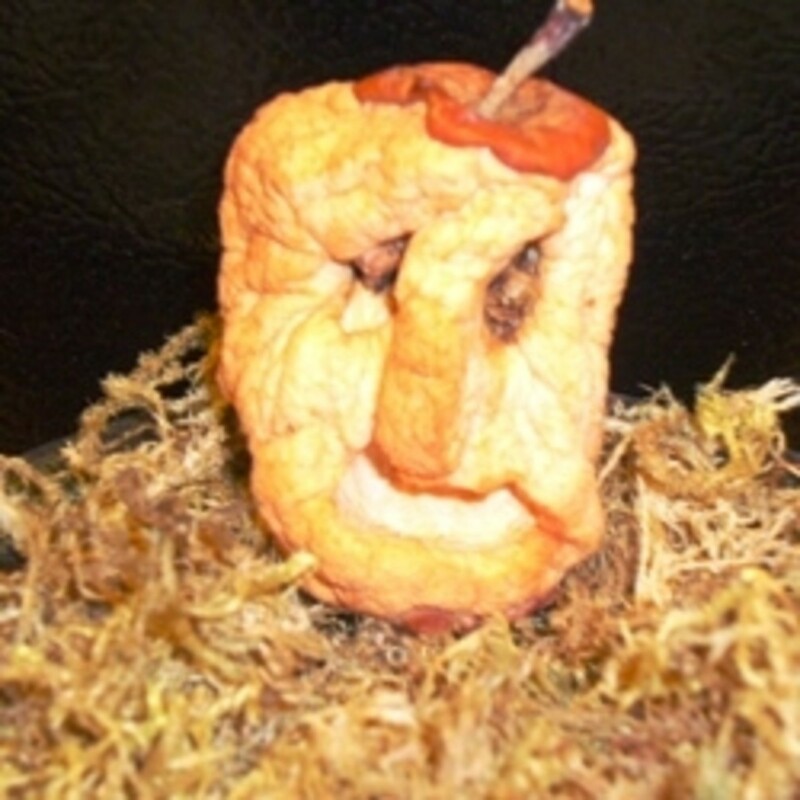 Now I have to take apples to the office and make everyone make their own shrunken applehead! Too cool lens with very entertaining things to do. It looks very simple. I have to try it. Bah, they look discgusting! But that's what we want! Beautiful lens with colorful pictures. Congrats on LOTD! oopss..sorry i accidentally hit the add comment. You are such a great artist.Thanks for being so kind enough to share us your thoughts. Such a creative and informative lens! That is so cool. I'm now a fan of shrunken apple heads. What a great lens. 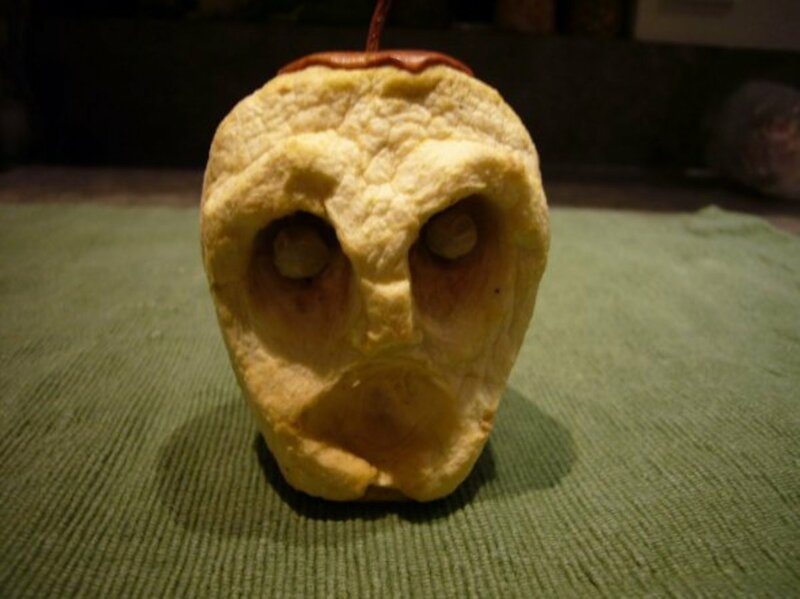 I am going to make shrunken apple heads with my girls this weekend. Only they don't know it yet. What a fun and unique idea for halloween! I will have to try this apple craft with my daughter. Looks like tons of fun. Many congrats on lotd!! Congratulations on LOTD- your great lens deserves it! I think it looks like so much fun, and I'm sure kids would love working on these. I remember apple head dolls from when we shopped in the Smokey Mountains years ago. Great lens, lots of fun! Oh wow, what a nice and fun way to take the place of jack-o-lanterns! It would be cool to make a jack-o-lantern and then put a punch of the apples around it. Ah yikes. I would say that the little shrunken apple heads do indeed look like shrunken heads. How perfect for Halloween. Those are so cool! I can't wait to try it!! Great Lense!! These make great alternatives to pumpkin heads. Rather than one scary pumpkin head you can have loads of scary apply heads. I love it. 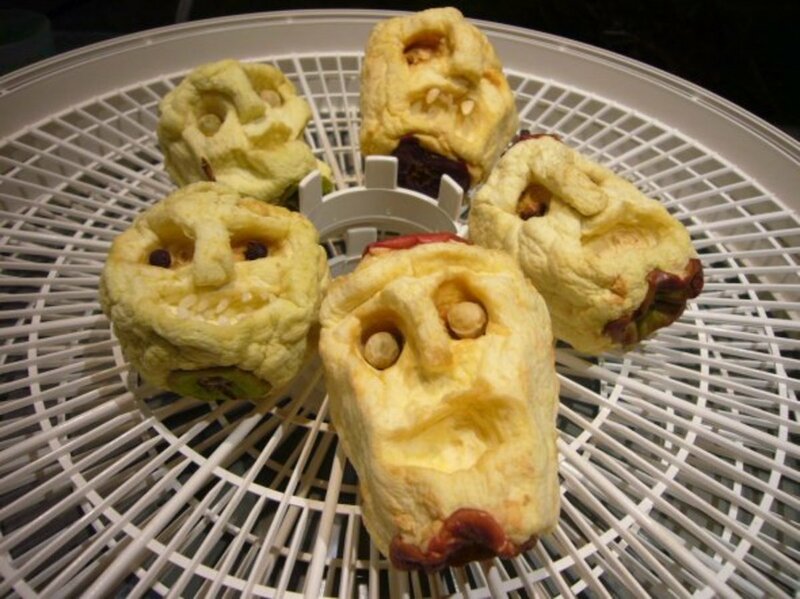 I will doing shrunken apple heads with my kids come Halloween. I find the shrunken appleheads really creepy - perfect for Halloween! I enjoyed reading your article and made me think of dehydrated apples I like to eat. I love fruits and don't get to eat as much as I like so I get the dehydrated ones and sprinkle them in my hot cereals or cold cereals plus I munch on them for dessert too! It adds so much atmosphere to Halloween time around the house too! How cool is this, congratulations on a ghoulishly fun and unique LotD! Congrats on LOTD! Great craft for Halloween Fun. Thanks for sharing the instructions! Cool lens. I've wondered how they were made. Congratulations on LOTD. this is fun and inexpensive way to make a nice Halloween decorations. This looks like such a fun way to spend an afternoon with kids. Great lens! What fun! 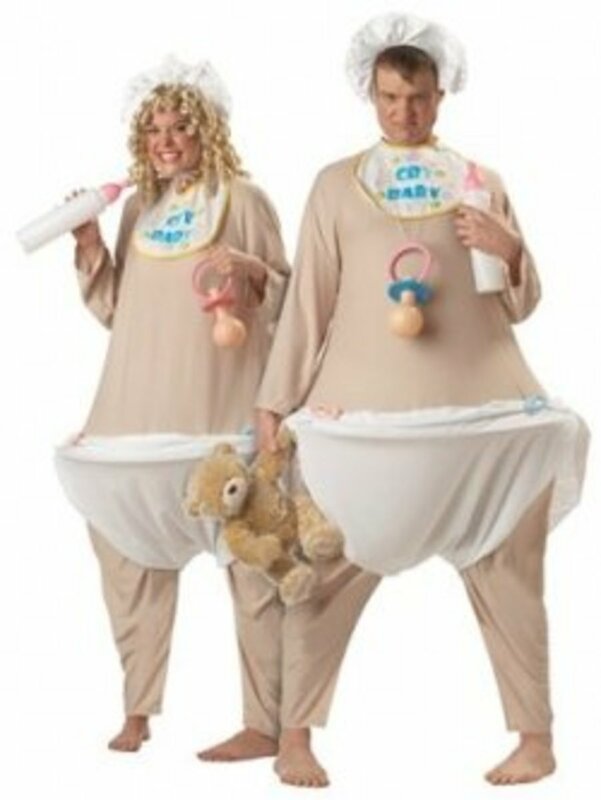 I can't wait to do with my kids! :) Congrats on LotD! Now that is what I call having fun with food...lol...blessed, because apples are not only healthy to eat fresh, but you've made them fun...and "a cheerful heart does good like a medicine: :-) Congrats on the lotd! In all my years of crafting, I am not sure why I have never tried this one as it is so very easy. I have been aware of it for many years...perhaps I will have to try it with my Grandchildren. Thanks on a wonderful lens. Also, Congratulations on LOTD. @EMangl: I thought a similar thing! Really cool craft. Thanks for sharing about it so well, and congrats on LOTD! What a great craft - thanks for giving me some Halloween inspiration! I was thrilled, chilled and delighted with this exceptional show of skill! Congratulations on one of the most creative and fun LotD's I've ever read! Amazing! I am going to try it this weekend and will report back with results. I did this a looooong time ago. What fun to see an article about making appleheads. Love it! Oh, have you brought back memories! About 40 years ago, I made a pair of posable apple head dolls for a couple of very good artists in my family. Your wonderful Halloween page is just the thing to inspire me to do another. 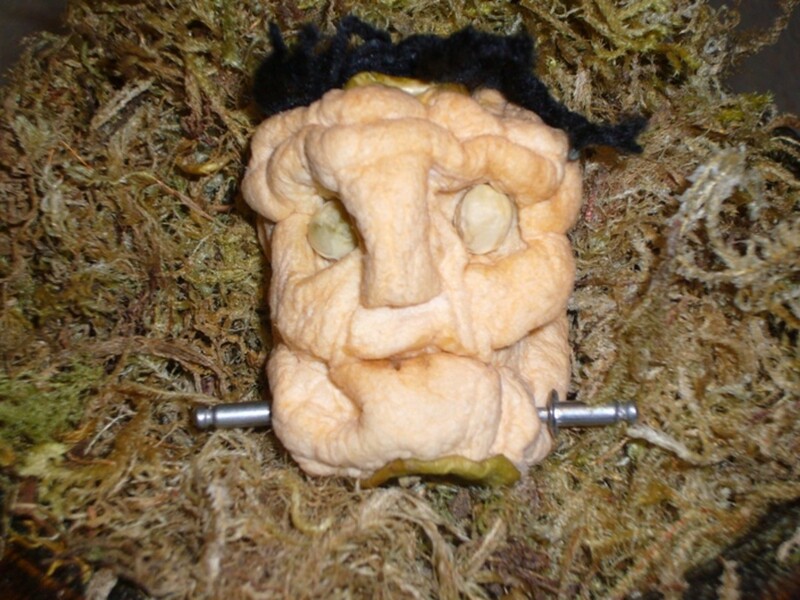 Thanks for all the great tips for making shrunken heads from apples ... I've got a bunch of crab apples in the yard that are ready to transform into evil faces. Mwaahahaha. Congrats on a terrific and timely LOTD! Excellent! A project I would really enjoy - Blessed! I remember making these in grade three or four! very creative! great lens!...is there an award for lens for the month? This gets my vote then! I remember making these as a kid. What a great Halloween project. Congrats on LOTD! I might just give mine a smile, glad I browsed upon your lens this morning. If you like to browse lens as I do, mine has a great educational topic with poll questions for my readers to enjoy. Very fun lens! I've never seen these before, what a great Halloween project! @Charmgal: I've only gotten them started in the oven overnight and then let them airdry thereafter for a couple of weeks. I would suspect it would take several days in the oven. I also tried using a food dehydrator for about 5 days which definitely helps speed up the process. It's awesome, never ever heard of shrunken apple heads before. Way too cool! Many thanks for such a nice lens! I will try it for sure! What a terrific lens! This is something I must try! I made these a a kid. Great idea for a lens! Nice. I liked this lens a long time ago. Glad you got LOTD for it. I want to try this! 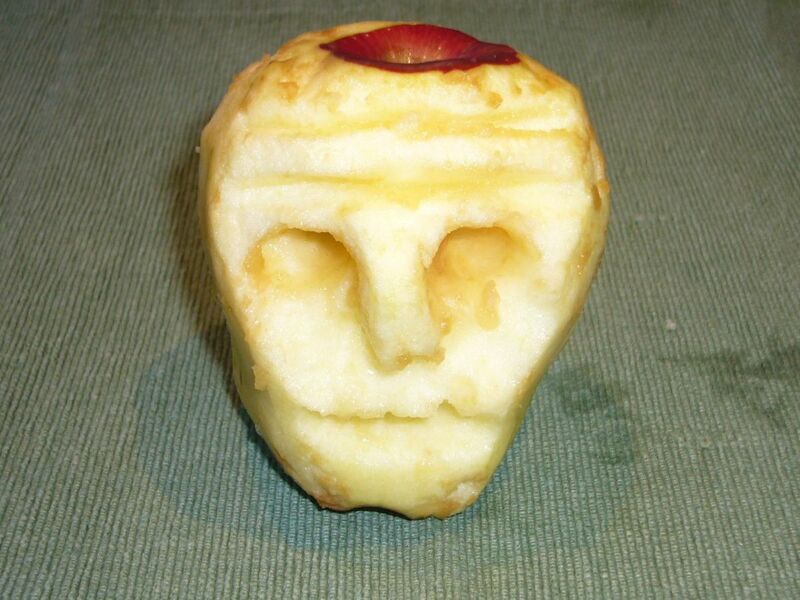 How long do you think it will take to make a shrunken apple head in the oven?? I have made an apple head before...they can turn out quite funny. Great lens!